After years of raising our 4 children and a few sheep on our small ranch outside Oakdale, California, we faced retirement and the prospect of not enough to do. So, we decided to chart a new path and a new direction. Yancey had retired from teaching Agriculture at Modesto Junior College and I had been working and teaching at a local quilt store. Several considerations, such as our soil, water quality, and our particular climate, guided our choice toward planting olive trees. 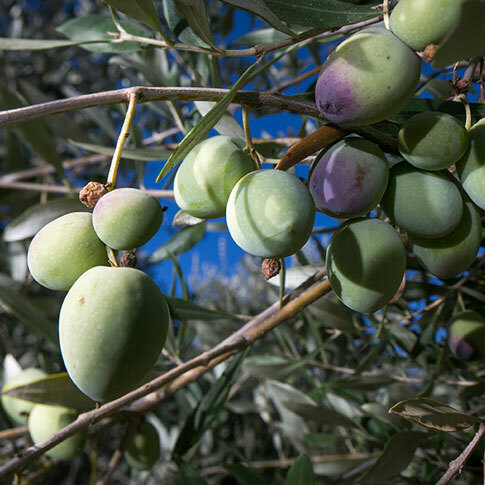 With many California growers planting the Italian olive varieties, we decided to cultivate French varietals especially known for their high oil content. After tasting olive oil during a trip to France, we definitely knew we wanted to grow and produce quality French olive oil. Yancey and I worked with Santa Cruz Olive Nursery and they provided us with the varietals we needed to get started. While Yancey handles most of our equipment operation and mechanic jobs, I take care of the paperwork and marketing. Through diligent perseverance, we got the field prepared for planting on a traditional 12′ x 18′ tree spacing. Our local irrigation company worked with us to setup an efficient drip irrigation system and we were ready for planting! The “Juergenson Olive Festival” was launched on April 22, 2006! Now, we had trees in the ground and we thought we could turn our attention to naming the ranch and its future product. The growing process, however, was not quite as easy as we discovered in January of 2007. A cold spell produced temperatures well below freezing for three solid days and most of our small trees were lost. We re-planted in the Spring of 2008. Meanwhile, we kept searching for an appropriate ranch name for our fresh olive oil. After a year’s deliberation and a trashcan full of rejected names, simplicity won out with the selection of “The French Olive”. Our little enterprise was officially launched and established as an LLC. In 2011, The French Olive became a green company with the installation of an 11.5kw solar panel system. This power supplies our entire energy needs for irrigation, the shop and barn as well as our home and a farm vehicle. After harvests in 2010 & 2011, we used hang tags to label our bottles, but it was clear we needed “real” labels for the retail market. Once again, the process began: research, discussion, all-family input and at last our new contemporary label debuted at harvest 2012. This new direction and adventure in our life has brought us, not just sore muscles, but wisdom and great satisfaction in working our land and producing a healthy and useful product. The French Olive dares to be different for California! According to some nursery wholesalers… we are “pioneers in California.” Our trees are of several French varietals including Tanche, Cayon and Bouteillan primarily. In recent years consumers have developed a taste for robust, fresh, natural olive oils. The French varietals tend to have a pleasant, milder flavor and a clean finish. Along with a smoother texture and great aroma, our oil is perfect for the discerning palate as well as the consumer new to the taste and pleasures of fresh olive oil. 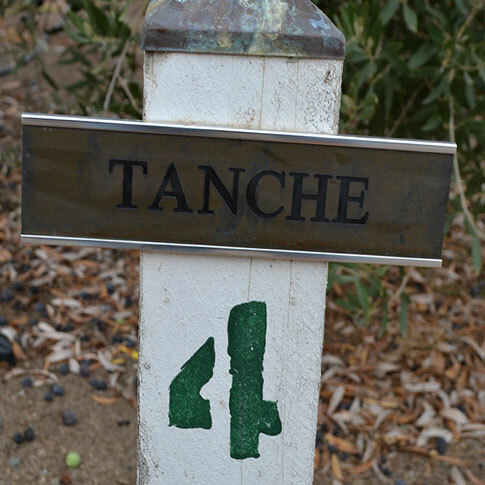 Tanche – Possibily the best known French olive variety, it is grown primarily in the Drôme & Vaucluse region of southern France. It is often referred to as “La Perle Noire” the Black Pearl of Provence. High oil content (25-30%) and the high fruit weight (5-6 grams) made this large elliptic olive our first choice and comprises 58% of our trees. Cayon – This variety is grown primarily in the Var region of southern France. The Cayon is highly valued for its role as a pollinator and oil production. 17% of our trees are Cayon. Bouteillan – Grown mostly in the southern France Var region, it is also grown in Australia and the U.S. Bouteillan is used for oil production because of its high oil content in the fruit. Our orchard is made up of 16% Bouteillan. Aglandau – 5% of our trees, this variety is grown in the Alps de Haute Provence and the Valcluse regions in France. 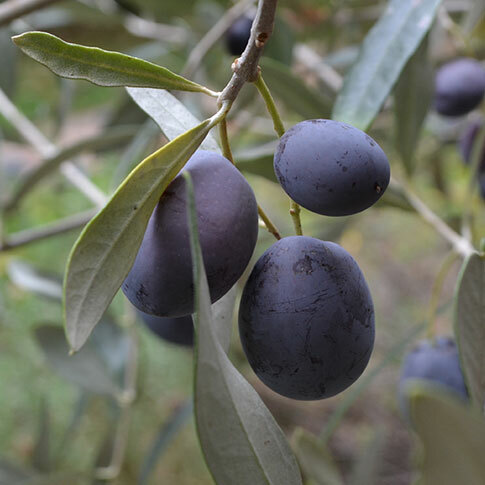 Although used both for oil and table olives, the oil considered the finest quality because of its’ fruitiness. EVOO is heard on Foodnetwork TV channels and has, officially, been added to our dictionaries, but what exactly is EVOO? It means Extra Virgin Olive Oil. To the olive oil industry, it is olive oil that is the first press of freshly harvested and undamaged olive fruit. The best method of harvesting the fruit is by handpicking, which is our practice. 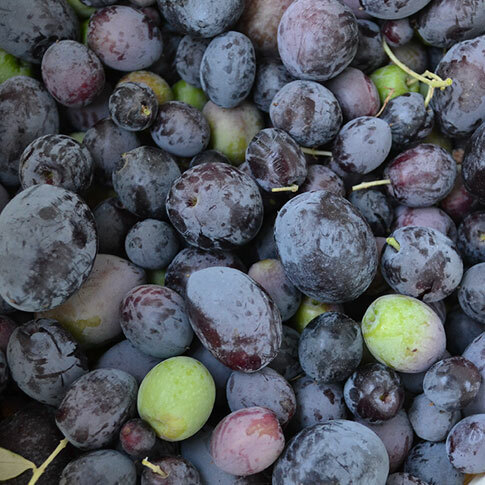 The olives are pressed within 48 hours of harvest to also ensure the oil’s freshness. Industry standards in California requires that during the extraction process, the press uses no chemicals or excessive heat to preserve the integrity of the oil. The French Olive uses a screw-press mill and centrifuges the oil to separate out the water. No heat or chemicals are used the the process. This method is also called Cold Press. Purchasing your oil from local growers offers you more assurance you are receiving 100% olive oil that is not mixed with other or lesser grades of oil.